There are many tactics you can use to entice and convert readers into subscribers, customers and more. 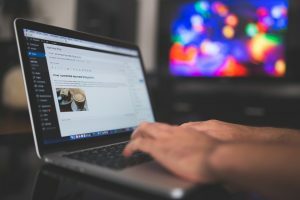 For blogs, a lot of work goes into the crafting of quality content that can compete in the ever-growing world of social media and search engines. Knowing which keywords to target, what topics to cover, which angles to address it from and how to convey emotion throughout it are just a few of the many considerations that must be made. While the body of your content remains as important as ever before, you may be missing valuable opportunities if you’re not putting effort into your headlines. Today, let’s walk through a few of the elements that can transform a simple blog headline into a successful one. Most people read blog posts and other forms of content to learn something. Headlines that obfuscate or otherwise don’t clearly state what benefit will be gleaned from reading the content often fail to captivate enough readers to be successful. This is why the standard how-to headline is so powerful and commonly used: it tells people exactly what they’re going to learn from reading it. Many people look for advice or assistance, and headlines that clearly convey what will be gained tend to do better than those that do not. By pinging servers with headlines that demonstrate value and benefit, you’ll get your content in front of more people. While telling people what they’re going to learn or read about is a good idea for any headline, you can also tease the audience a bit to pique their interest. This works in a similar fashion but can be a great way to bring in various readers who do not know the answer to the question. You’ll be able to use this headline as a way to build up to an answer in your content; it’ll give you room to explore the subject more in-depth initially before providing a concrete answer to the reader. The natural curiosity of readers tends to make the question headline format a commonly-used and successful variation, so be sure to consider it when formulating your headlines. Another great way to lure people into reading your blog posts is to open with a cold hard fact or tip. All too often, headlines can be too mushy, subjective or otherwise leave too much to the imagination, which actually can have the opposite intended effect. If you really want to draw people in and get them interested in what you have to say, then providing them with a poignant piece of information at the onset is an excellent idea. By pinging servers with headlines that focus on specific stats or tips, you’ll be able to more effectively funnel precisely the type of person who’ll be interested in what you have to say. Building the perfect headline takes a lot of work. In the end, your headline format will be determined based on the broader topic and angle of your blog post, but these tips can help guide you in the right direction toward how you should frame the first element readers see.